Talk of allowing up to 100 percent foreign direct investment has proven controversial, to say the least. For Indian companies—which include Tata Group, Larsen and Toubro, Bharat Forge, Mahindra and Punj Lloyd—still struggling to find their feet in the areas of manufacturing, production, technology, capital and competitiveness, this concern may well be genuine. No sooner had India’s new government announced its intention to move forward with a promised revision of foreign direct investment (FDI) in the defense sector, mooting a 100 percent FDI limit (up from the current 26 percent), and a backlash began. In the vanguard of this opposition lies India Inc.
Look closely and two clear strands can be perceived in the opposition. The first stems from the financial and manufacturing repercussions that India’s domestic defense industries are likely to face in the event of a 100 percent FDI limit. For Indian companies—which include Tata Group, Larsen and Toubro, Bharat Forge, Mahindra and Punj Lloyd—still struggling to find their feet in the areas of manufacturing, production, technology, capital and competitiveness, this concern may well be genuine. The second apprehension involves those who view India’s defense sector as the sanctum sanctorum of national pride and patriotism. For these critics, any attempt to invite no-holds-barred FDI in this sector is not just a breach of traditional principles, but a financial invasion of sorts. The idea to increase FDI in defense was first mooted in 2010 in a Department of Industrial Policy & Promotion (DIPP) discussion paper. In July 2013, the Cabinet Committee on Security led by India’s former Prime Minister Manmohan Singh decided that the limit of FDI in the defense sector would be 26 percent but that higher FDI (up to 100 percent) would be allowed on a case-to-case basis by the CCS. To that extent, the proposal to increase the FDI to 100 percent is not entirely new. Nonetheless, the legislation (still only a Cabinet draft) that has been floated by DIPP has come under fire. Joining Indian conglomerates involved in defense are sections of media, the bureaucracy and ex-servicemen. Are the concerns valid? To begin with, the nature of the FDI increase has yet to be finalized, and as such lacks the clarity to justify either all-out support or opposition. The most commonly assumed scenario is that FDI beyond 49 percent will be with a mandatory rider of transfer of technology (ToT) and know-how to domestic defense companies. The ToT from foreign firms currently underway in India, mainly through offset, is progressing extremely slowly because of twin shortcomings: the lack of a clear offset policy in India’s defense sector and the consequent apprehensions foreign firms feel about entering the sector. The opposition lobby will have to understand that the transfer of technology to indigenous companies in India is currently occurring at snail’s pace. One way in which it could be accelerated is through increasing FDI. More FDI would mean more involvement, more collaboration, more ToT and know-how for indigenous firms collaborating with foreign firms. The DIPP too, in the circulated draft, has argued that allowing more FDI in defense would help curtail expenditure on defense imports, in addition to improving domestic manufacturing capabilities. This argument is persuasive. Indigenization in defense is a fine aspiration, but it only becomes realistic when the necessary equipment, technology, research, logistics and infrastructure is in place. Shortfalls in these areas explain why India still lags the world leaders in defense research, production and technology. So for now, the dream of building a strong defense industrial base remains elusive. Indeed, India has undertaken several indigenous projects but almost all have suffered conspicuous delays. This certainly is more than a coincidence. Be it the Arjun tank developed by India’s Defence Research and Development Organisation or the Tejas multirole light fighter developed by the Hindustan Aeronautics Limited, more often than not indigenous defense projects in India have been extremely protracted affairs. 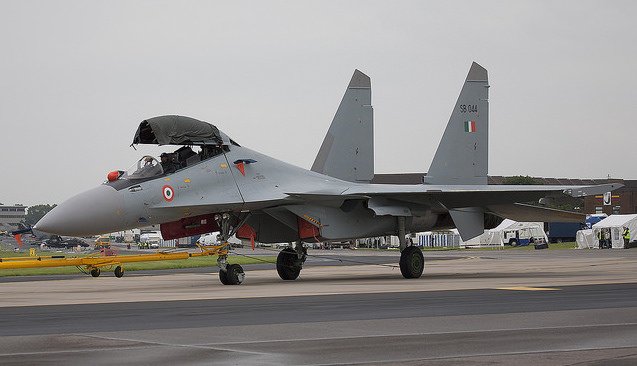 The intent-without-technology approach in the Indian defense sector might appease patriotic sentiment, but it limits the defense sector’s ability to maintain a cutting-edge armory. Previous What Does Hobby Lobby Decision Mean?